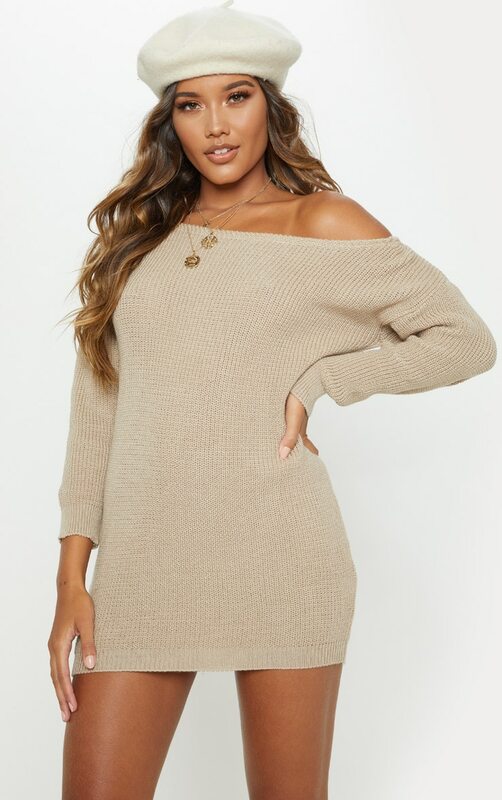 Update your wardrobe with this jumper dress. Featuring a stone knitted fabric with a flattering off shoulder style and mini length. We love this teamed with snake print boots to complete this A/W look.